UNDER THE LEADERSHIP of the Greens Bayou Coalition, and the East Aldine District, a Spring Clean-up, Tree Planting, and Festival was held last Saturday. Participting were GBCC Volunteers, EAMD volunteers, Boy Scouts, Sheriff’s Explorers, NCI volunteers, and many others. 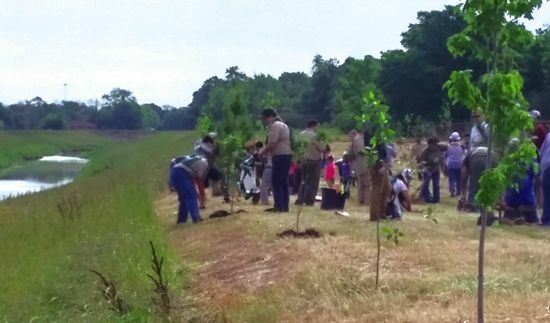 It was reported as a very successful event, with 75 trees planted in Crowley Park, along the Greens Bayou. Also helping were Precinct 2, Flood Control District, Halliburton Foundation, and others. The Festival which followed the clean-up had games, food trucks, and vendor booths from various local organizatioins and businesses. NORTHEAST – Little League teams, with their supporters and families, started the season last week at Melrose Park on Canino for the Melrose Little League, and this week at Squatty Lyons Park on E. Hardy Street for the Northside Nationals. 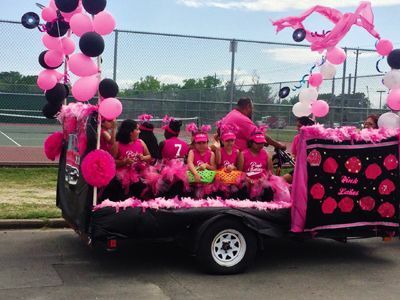 The Aldine teams had a parade of floats, that went from the parking lot beside MacArthur High School, down residential streets until they arrived at the ball park. At Melrose Park, State Representative Amando Walle and City Councilman Carlos Cisneros helped with the ceremonies. Good weather helped everyone have an enjoyable time.